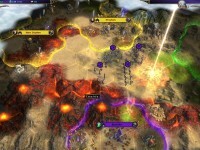 - Even the spectacular swirling table scene was easy? - Yes, it was a great experience, but I didn’t have any lines, so I just had to sit there. Speaking about the most difficult scene, I’d name all the ones with all the long speeches written by the director Richard LaGravenese. I’ve had obligations to do them well. Being exhausted closer to the end of the day, I tried to memorize these monologues, tried to learn them well, and there was one scene, where Lena Duchannes tells me that she is a witch, while I’m eating cookies dragging a blanket over me with all the props set. It was like hell for Beautiful Creatues! You had to time all of your movements correctly, so we went back for repeating this. I had to use blanket at the right time, eat one cookie at the right time, then get up at the right time, and it was really difficult working on these kinds of scenes. - Still, how was the memorable table scene created in Beautiful Creatures? - It was a revolving table that was actually built, not made with CGI. There was a platform that went one way, and the table that went the other way, the room’s chandeliers were swinging, while we were moved as well. - What is it like knowing Richard LaGravenese as a Director? - He was wonderful! Really open to all the ideas coming from the actors. I like to taste acting. When I was actually shown the final footage, I learnt that he had left in many takes for Beautiful Creatures that were most unusual, featuring some offbeat acting. He is a brilliant man, a real sweetheart and the sweetest guy I have ever met being very sensitive towards his actors, since there are many great performances in the film. 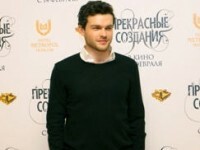 - What about the impressive chemistry between you and Alice Englert in Beautiful Creatures? - Very easy. She is incredibly talented. When we met the first time, we got along really well. We were there for the same reason. We were both at first reluctant to star in a movie like this and then intended to bring a lot of intelligence, wit and humor it. We felt being from the same team from the get go, the moment we met. When we did the scenes, it was just kind of playful with us laughing a lot, silly at times. - There was a great moment as well, when the rain falls down on you. - Yeah, many scenes were very funny like that. It is very easy to act in the rain, because all you have to do here is to yell loud enough to be able to be heard. However, here we both were completely soaked when filming Beautiful Creatures. Though, one not fun thing during the filming was when I got the food poisoning the second week of the shoot and my first day of working with Viola Davis. The weather was just 90 Fahrenheit degrees, and I was wearing the Civil War uniform then staying very sick. Between the takes I had to rush to the bathroom, then get back to the set fast. It was not fun at that time, but it is fun to remember now. 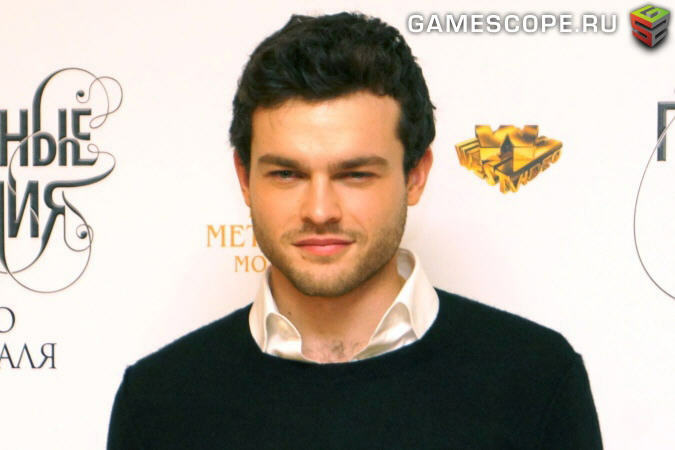 - If you were to become a Caster like in Beautiful Creatures, what would be your side? - I think, at the end of the film the idea is that everyone has both sides, and it is important to make peace between them. To me that’s one of the best messages of the film, not choosing to be just Light or Dark. - Your character Ethan Wate enjoys reading. What do you read? - I’m a big fan of the TV show titled Columbo (1968-2003) and actor Peter Falk. So even when I was busy with Beautiful Creatures, I was reading a lot of his biography, because I do consider him to be one of the greatest actors of all time, very funny, charming person. - Would you like those books that Ethan reads in Beautiful Creatures? - Well, yes, one my favorite things was seeing my character’s bedroom on the set. It was so exciting to see all those books everywhere. I’ve read several books from that list, including The Catcher in the Rye, also On the Road (1957), which I just love. 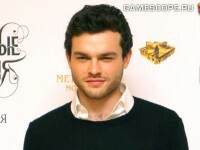 Read on further to find out the dream character of Alden Ehrenreich.